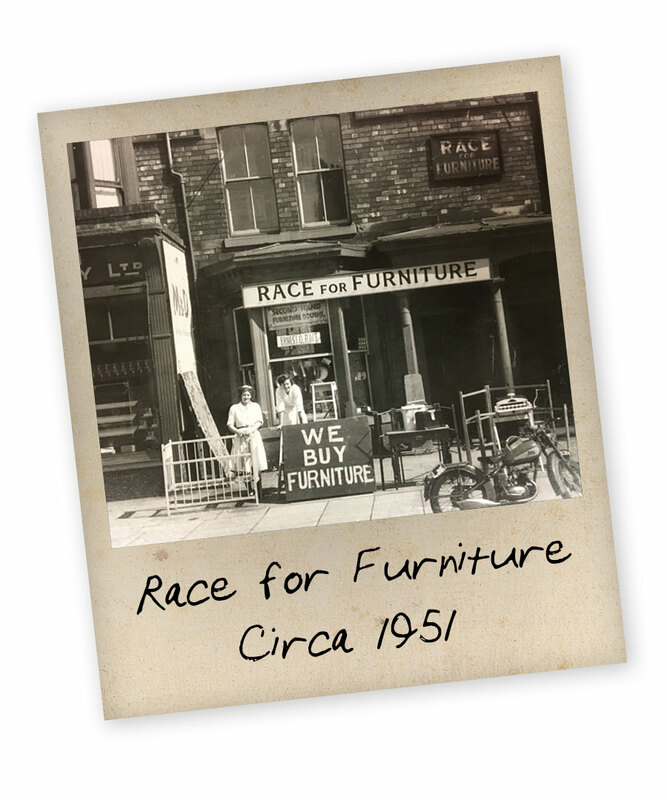 The name of Race is synonymous with Quality Furniture and has been so since 1908 when the Race family started their furniture business, simply called ‘Race Furniture’. The brothers Ernest Oswald and Wilfred traded successfully until the First World War in 1914. After the war ended in 1918 they ran two separate furniture businesses at various locations in the Middlesbrough area. 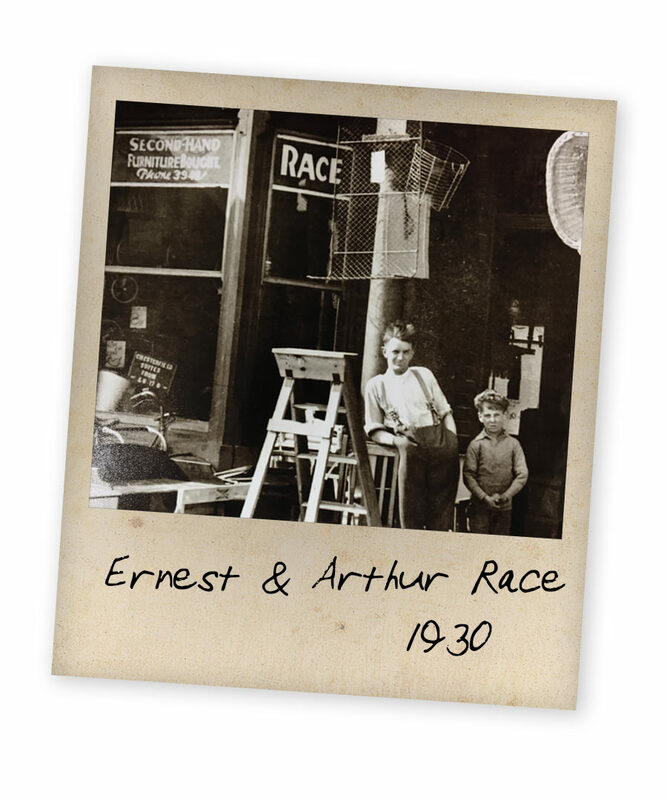 In 1920 Ernest set up his newer and bigger furniture company, known as ‘Race Furniture’, at 168 Borough Road, Middlesbrough. Most of the stock was furniture plus hardware, carpets, rugs and various items for the home. The shop continued to trade successfully, building up an enviable reputation for quality furniture in the Teesside area. At the end of the Second World War in May 1946 Ernest’s son, Clive Oswald, joined the family business. The period of trading after the war was extremely difficult as not much new furniture was manufactured during the war years and even then was only obtainable with dockets. It took many years for things to return to normal. Sadly in June 1953 Ernest, affectionately known as ‘Ossie’, died leaving his wife Beatrice and Clive to carry on the business. 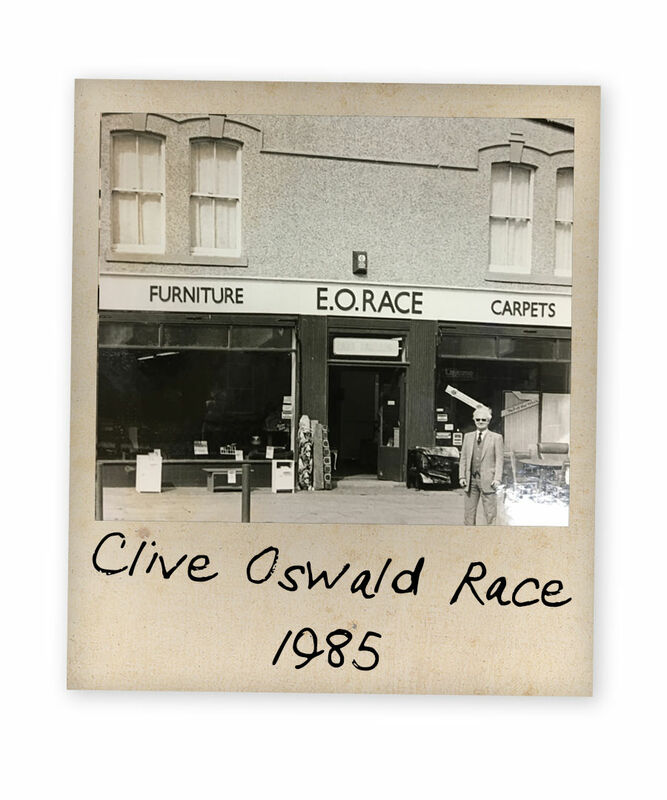 Clive’s wife Leah joined the company in 1956 as the company was progressing steadily, in the early 1960’s the shop front was modernised and the business steadily grew until 1979 when Grandson Iain Clive Race joined the company after working in London. The company continued to grow rapidly until 1987 when the complete shop was extended and modernised. From this point the company really accelerated stocking a wider variety of furniture and moving more upmarket in the products sold. A huge period of growth ensued to keep apace with the fierce competition in retail furniture on Teesside.The name of Race, however, was always at the forefront, advertising was extensive and the company grew to found other businesses such as ‘The Pine Warehouse’ and ‘The Leather Suite Centre’ and ‘Giftbox’. Although the business moved out of its traditional and well known premises in Middlesbrough , during a period of expansion, to Stockton-On-Tees this was only for a short time and that branch has closed. 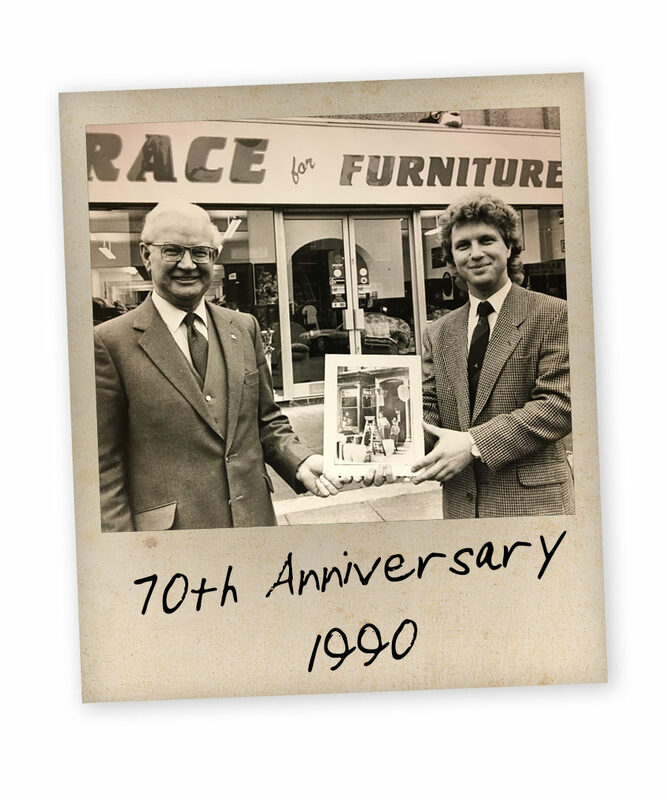 Race Furniture returned to its roots by moving back into its former shop at 168-172 Borough Road, Middlesbrough and is once again supplying the people of Teesside and beyond with quality furniture and good old-fashioned service.